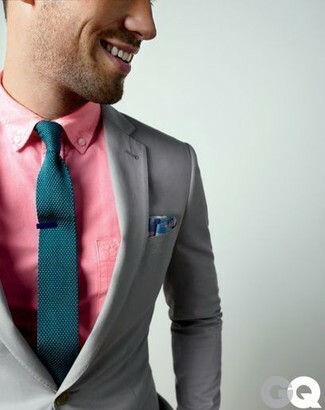 For a casually elegant ensemble, team a grey blazer with an aquamarine plaid long sleeve shirt — these pieces play pretty good together. 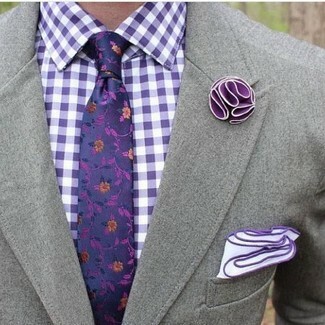 This combination of a grey blazer and a violet gingham dress shirt is very easy to make up without a second thought, helping you look on-trend and ready for anything without spending a ton of time searching through your collection. 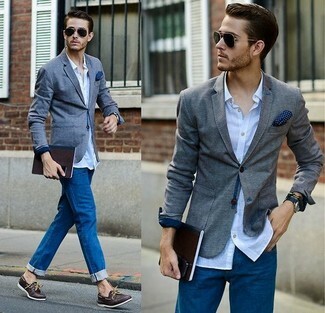 This combination of a grey blazer and navy chinos is very easy to pull together in seconds time, helping you look amazing and ready for anything without spending a ton of time going through your closet. To bring out the fun side of you, complement your look with white leather low top sneakers. Contrary to what you might believe, getuping on-trend doesn't require that much effort. 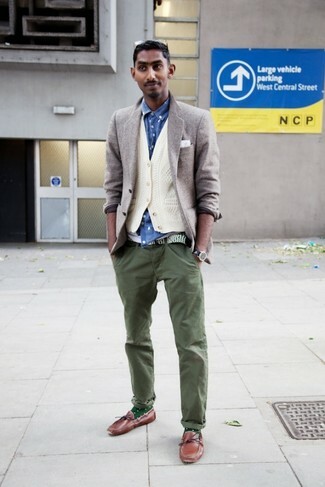 Just consider wearing a grey blazer and olive chinos and you'll look savvy. For something more on the daring side to round off this ensemble, make brown leather boat shoes your footwear choice. 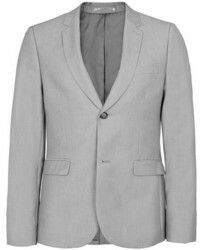 For a smart casual look, marry a Topman skinny fit textured grey suit jacket with charcoal chinos — these items work really well together. For a more relaxed take, grab a pair of white leather low top sneakers. 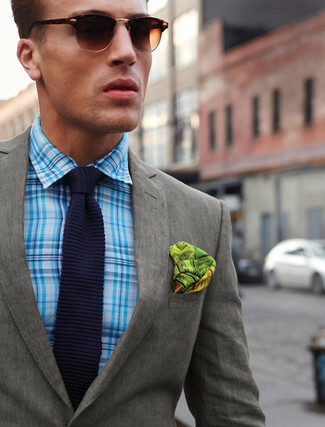 As you can see here, being a dapper dude doesn't require that much effort. 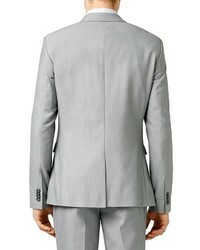 Just opt for a Topman skinny fit textured grey suit jacket and blue jeans and you'll look good. Grab a pair of dark brown leather boat shoes to make the getup more current. 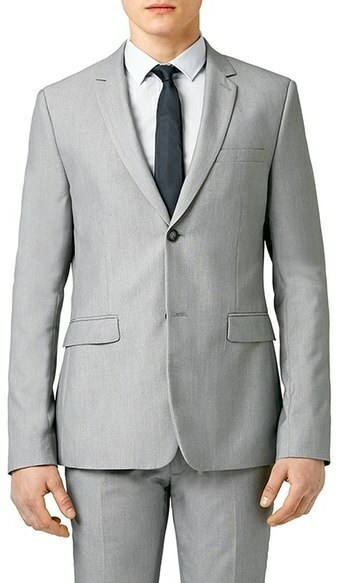 Try pairing a Topman skinny fit textured grey suit jacket with a pink dress shirt for a classic and refined silhouette. 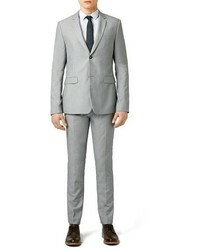 Choose a Topman Skinny Fit Textured Grey Suit Jacket from Nordstrom and grey dress pants for a classic and refined silhouette. Take your look into a more casual direction with grey canvas espadrilles. 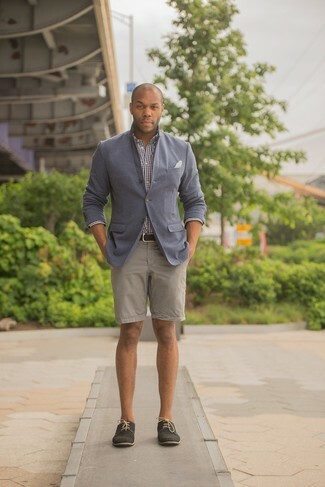 For a casually elegant outfit, pair a Topman grey blazer with beige shorts — these two items play perfectly well together. You could perhaps get a little creative in the footwear department and spruce up your ensemble with black suede derby shoes.